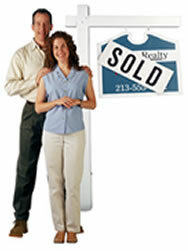 Selling Your Scottsdale or Phoenix Arizona Home? There are so many little things about your Scottsdale or Phoenix home, like that paint smudge or the faucet drip that you don’t notice anymore. But Scottsdale and Phoenix real estate buyers who preview your home will. Fixing the small things now can mean a bigger payoff when you sell your Scottsdale home later. Some realtors won’t provide an honest evaluation of your home’s condition before they list it for sale. Sure, the realtor saved your feelings, but they’ve cost you hundreds or thousands of dollars in the long run. Net the most profit from your Scottsdale home or Phoenix home sale. Beware of the realtor who quickly sets a high selling price and sticks a For Sale sign in the yard. In today’s Arizona real estate market, you need a real estate expert like ColleenLynch who will provide an honest evaluation of the pricing and condition of your home compared to other homes for sale. Increase your chance of a FAST Scottsdale or Phoenix real estate sale. Numbers don’t lie. The longer your home is on the market, the less chance it has of selling for the asking price. That’s why I’ll give you tips to improve curb appeal before it goes on the market so your home has a better chance of selling faster at a higher price. The lastest real estate technology is on your side. Open houses, print ads, and a basic MLS listing just doesn’t cut it anymore in the Arizona real estate market. That’s why I invest in Internet marketing, direct mail advertising, agent-to-agent marketing, MLS exposure programs, and a lot more to market your home. Whatever your reason for selling, I understand the emotional investment you’ve made in your home. Our selling techniques guarantee you benefit from your efforts. As a homeowner, you dread the idea of potential buyers touring your home and the inconvenience involved. I handle all the details freeing you to continue your life with minimal disruption. I employ unique strategies to showcase your home like Virtual Tours, listing advertisements on a KFNN Saturday AM talk show, full color pictures in key publications, and limousine tours for other area realtors to increase exposure. Explain the selling process from listing to closing. Research and disclose the average selling price for property with features similar to yours around your area. Offer suggestions and techniques to improve your home’s saleability. Use all options available, such as MLS, Internet, and other advertising media to market your home to buyers. Introduce and provide tours of your home to real estate colleagues. Present all purchase contracts immediately and advise you on their acceptance. Calculate accurate estimated net cash from the sale.